The mountains of western North Carolina are, and will always be, my home. It should come as no surprise that I donned my Minnie Mouse ears (and then got the giggles) for a few shots. Or, that I brought my favorite book along. I knew our official wedding photographer would get plenty of pictures of me all made up on the day of, so I opted to go a little more natural for these particular photos — wearing my hair down and my makeup a little softer. Lastly, being a motherless daughter is a huge part of who I am. 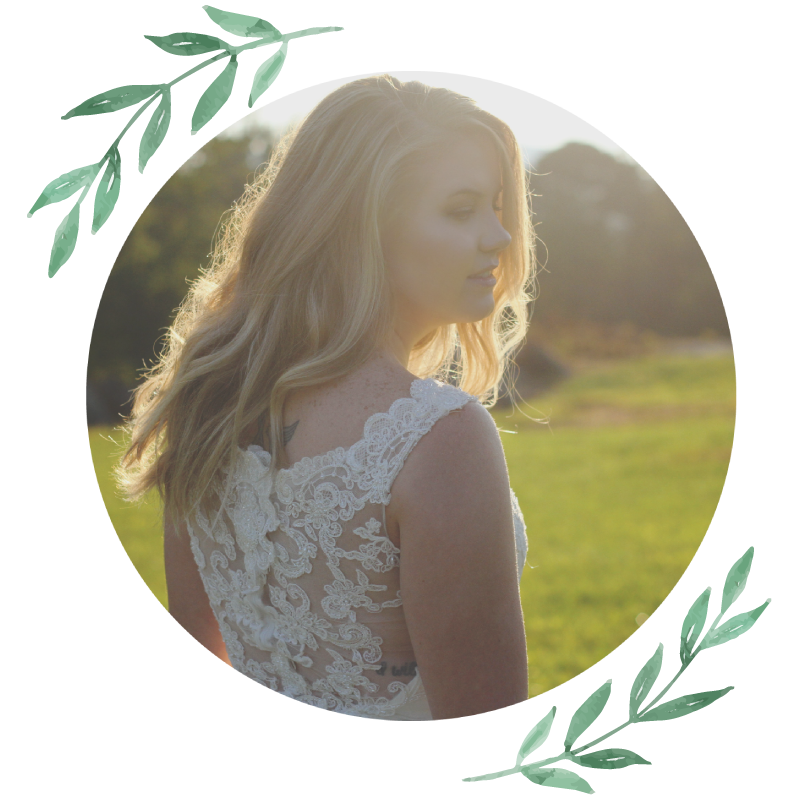 That is why I wanted to take pictures in my wedding dress at my mom’s memorial site, and when I reached out to my friend Katie about bridal shots, I told her I had a rather strange request and I was nervous about how they would turn out. In fact, I was so afraid of how they would look to anyone else, I didn’t even tell anyone what I was doing — I just snuck up to Asheville one Sunday a couple weeks before our wedding. These particular images are extremely personal for me to share, and I almost didn’t. But they were the leading reason I even have bridal portraits made. It is no secret that I have struggled with planning our wedding without my mom here to help — I have been very open about that. In the weeks leading up to the big day, I knew in my heart my mom’s absence would be felt on the day of. That is why I am actually incredibly glad I took the time with her at her grave for these pictures. Doing so helped me not focus on her so much on our wedding day. Don’t get me wrong, there were many times throughout our wedding day when all I could think was how badly I wanted my mom there — especially that night when it was time to cleanup the venue or when I felt completely abandoned. That day, taking those pictures, it was just her and me. And it was peaceful and beautiful.